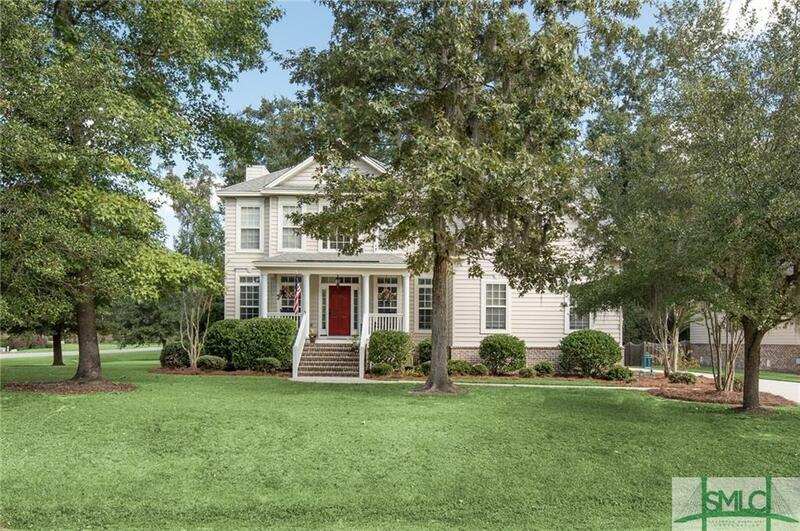 Stunning home on large .64 acre corner lot in desirable Southern Woods at Rice Mill. Soaring 2-story foyer w/ palladium window welcomes you into this immaculate, updated home. Open concept floor plan allows great flow for entertaining & family gatherings. Elegant Architectural details include high ceilings, wainscoting, chair rail, 5" crown molding & floor to ceiling windows! Kitchen has corian counters, double ovens & stainless steel appliances (2016). Office has French doors w/ glass transom. Private guest bedroom w/ full bathroom complete 1st floor. New flooring and upgraded oil rubbed bronze fixtures & hardware throughout! Master suite has spectacular tray ceiling, BIG walk-in closet & amazing bath - jetted tub, X-large vanity & NEW seamless shower. Massive 30' X 14' Bonus could be 5th bedroom. Oversized 525' side entry garage. Large deck overlooks wooded backyard w/ firepit & COOL treehouse. Extensive upgrades (list attached). No HOA! Optional membership to Community pool w/slide.